An MIPT-based research team has proposed that atmospheric air quality can be assessed by analyzing lichen composition when traditional monitoring stations are not available. The researchers have performed a case study of the Xanthoria parietina lichen, for which they collected the samples from Moscow, Nizhny Novgorod, and from Dubna and Dolgoprudny, two towns outside of Moscow. Sample analysis showed their copper, iron, and manganese content, in addition to the free radical concentrations of polyphenol and phenol, the two different types of compounds that are naturally present in lichens. The study results were reported in the Journal of Applied Spectroscopy. By showing that atmospheric air quality determines the concentration of radicals in lichens, we prove that electron paramagnetic resonance spectroscopy can be used for environmental monitoring in cities, this makes the method very convenient for those areas where air monitoring stations are not available. And that means many: Even major cities populated by millions of people typically have no more than ten such facilities. Associate professor Svetlana Zhuravleva of the Department of Chemistry, MIPT. Free radicals of organic molecules and metal ions play a role in enzymatic reactions that are vital to human health. However, the presence of an excess number of free radicals and ions affects cell metabolism and interferes with the natural balance of redox reactions by causing damage to nucleic acids, proteins, and the lipids in the cell membrane. As this damage accumulates in the human body cells, it can cause serious diseases. Atmospheric air pollution in highly populated industrial cities is a key reason why living cells have a higher number of metal ions and free radicals. In 2015, researchers reported that diseases arising out of poor environmental conditions contribute to 16% of deaths worldwide, which is three times higher than the deaths caused by malaria, tuberculosis, and AIDS together, or 15 times higher than the deaths caused by wars and by other forms of violence. The metals that were measured in lichens are iron and copper, and magnesium, of which iron and copper are transition elements. The ions of copper and iron can enter redox reactions, where they can take on or give up electrons easily. If the exchange of electrons in a redox process creates a metal ion with an uneven number of electrons, one of the electrons is bound to be unpaired. Ions consisting of unpaired electrons are known as paramagnetic. Free radicals are somewhat similar and the term ‘free radicals’ represents all other atoms, ions, and even whole molecules of inorganic and organic compounds with an unpaired electron. Both metal ions and free radicals are highly reactive in nature, meaning they readily enter into chemical reactions with other molecules. Abnormal chemical reactions take place more often in living cells when these reactive species are present in an elevated concentration, preventing individual cells and by extension the entire body from maintaining the dynamic equilibrium state called homeostasis. Earlier research showed that a higher content of paramagnetic metal ions and free radical ions in mammalian cells correlates with a deterioration of health. Lichens readily absorb compounds of metals from polluted atmospheric air. Besides that, they are autonomous and require no special conditions: Lichens can grow on trees, rocks, metal structures. 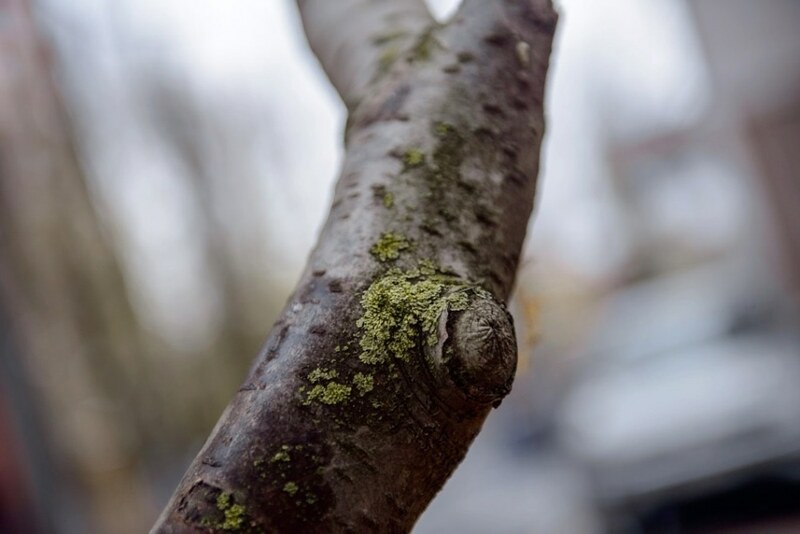 They need no soil, minimum light and are thus abundant throughout Russia, all of this makes lichens a prime candidate for use in environmental monitoring and assessing the risks that pollution poses to the population. The MIPT team used two analytical techniques to measure the metal ions and organic radical content in lichens. The electron paramagnetic resonance technique was used to determine the total content of all reactive species having unpaired electrons, followed by identification of their individual concentrations using optical emission spectroscopy. The data collected was then compared with the air pollution index, which is the standard complex indicator of environmental quality. The Federal Service for Hydrometeorology and Environmental Monitoring of Russia and the nation’s Ministry of Natural Resources and the Environment measure, calculate, and publicly release the API values. API is measured as the sum of average annual concentrations of pollutants expressed in terms of their maximum allowable concentrations, which are defined based on their hazard ratings. Dubna and Dolgoprudny are considered to be having low air pollution (API < 5), whereas Moscow and Nizhny Novgorod have a poor air quality (5 < API < 7). This is in line with the findings on paramagnetic metal ion and free radical content in lichen samples. Organic radical concentration in samples collected from Moscow is 1.9 that in the samples collected from Dubna, whose paramagnetic metal content was found to be 5.6 times lower than those collected from the Russian capital. This study provides the first ranking scale for grading environmental quality based on paramagnetic center concentration in lichens. It could be used to map urban pollution and identify those zones in cities that might pose danger for human health.